The 2018 O’pen BIC North American “Un-Regatta” was hosted by the incredibly hospitable Buffalo Canoe Club in Ridgeway, Ontario, August 9-11. Tight racing challenged the sailors with unconventional courses, multiple turning marks, and compulsory moves such as capsizes and 360s. The sailors were tested further with the crowd favourite, the Bridge of Doom. CJ Perez from Hawaii Kai Boat Club took home the North American crown with her keen tactics and smooth boat handling. In second place was Landon Cormie from Vineyard Haven, MA, followed by Kelly Holthus from San Diego YC. More than 35% of the fleet were young ladies. Makani Andrews of Kaneohe YC won the U13 age group outright. Makani put the fleet on warning early, winning the first two of eleven races overall. Kiley Freitas, also of HKBC, was the top female and third overall in the U13 division. With O’pen BICs already the largest One-Design fleet in Hawaii, and their aloha spirit dovetailing nicely with the O’pen BIC class culture, it is not surprising that many of the top sailors come from Oahu. True to “Un-Regatta” form, a spirited O’pen BIC freestyle contest was held Friday with a record 32 teams participating. “Team Halice”, Alice Le Roux with Hannah Sailer, won the hotly contested freestyle with a frenzy of synchronized back bends, rig climbing, wheelies, and dance moves, but many of the teams wowed the crowd. The O’pen BIC families were also treated to a memorable trip to Niagara Falls and an epic beach party. Perhaps the highlight of the beach party was the girls vs boyz massive Tug of War contest. The girls won again! 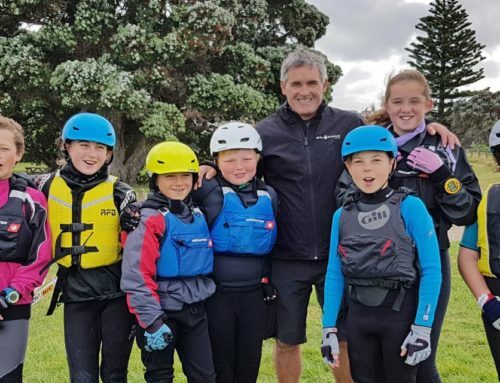 The excitement continued right thru the awards ceremony when four grants were randomly pulled from a bingo hopper for travel to the O’pen BIC Worlds, hosted by Sir Russell Coutts in New Zealand, 2018 DEC 23 thru 2019 JAN 4. Two young men and two young women, JP Lattanzi from Hawaii, Landon Cormie from Massachusetts, Ashton Loring from South Carolina, and Sabrina Starck from New York were ecstatic to have their names drawn from the top sailors. 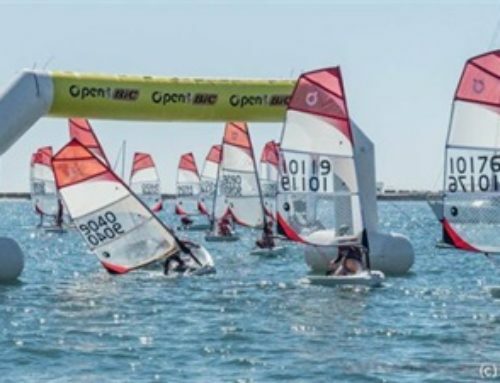 For those unable to make New Zealand, the O’pen BIC families left the event looking forward to rendezvousing at the 2019 North Americans to be held at Mission Bay Yacht Club, San Diego, March 8-10, 2019.